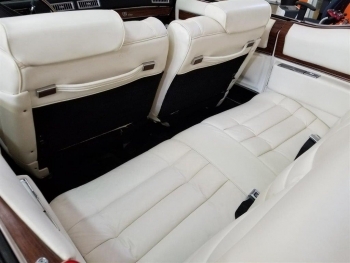 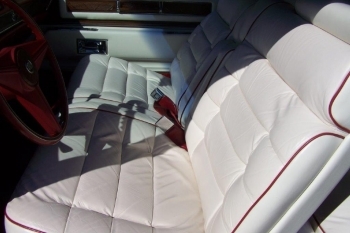 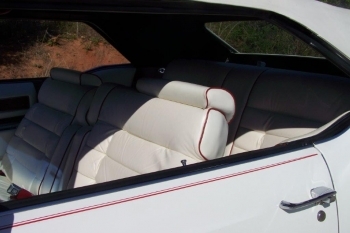 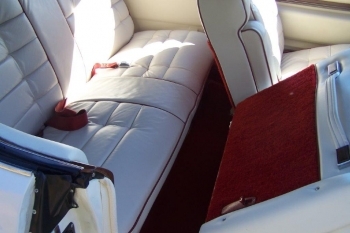 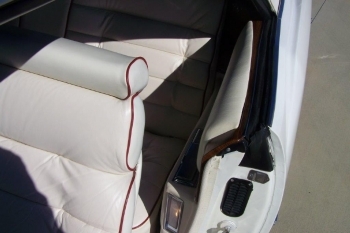 Gorgeous Cotillion White, with 50-50 soft white leather with red piping 6 way electric seats, and white top. 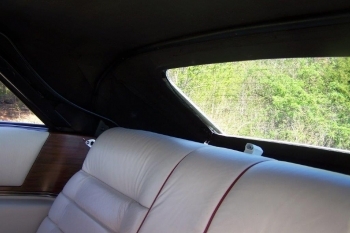 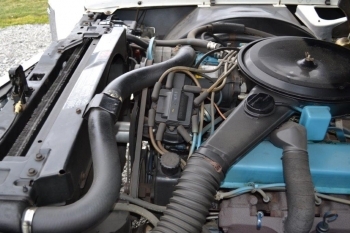 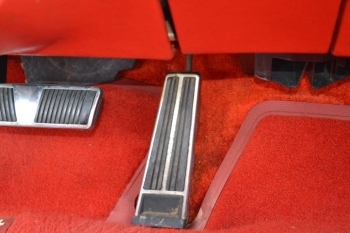 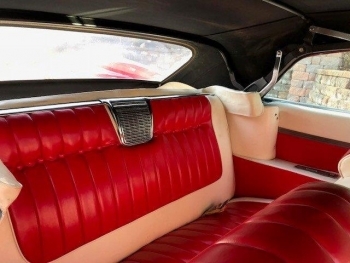 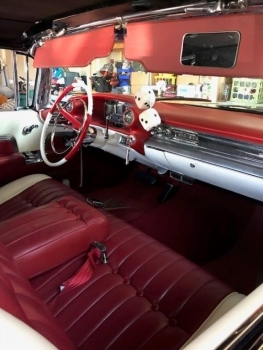 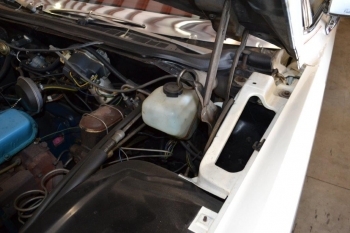 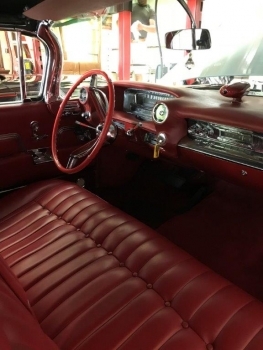 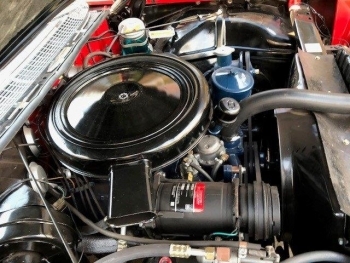 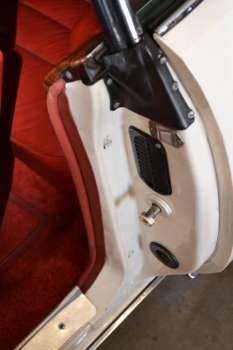 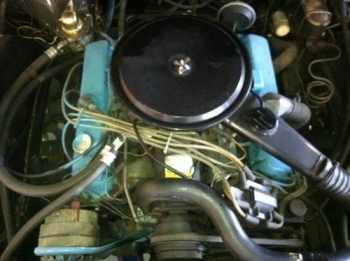 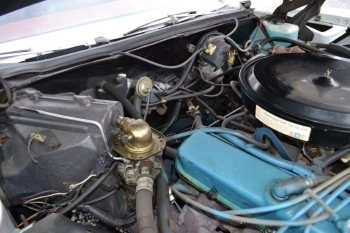 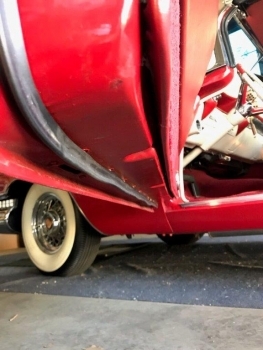 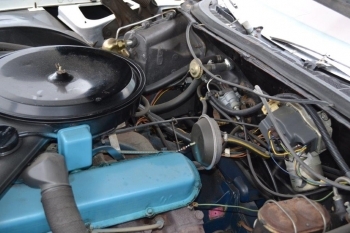 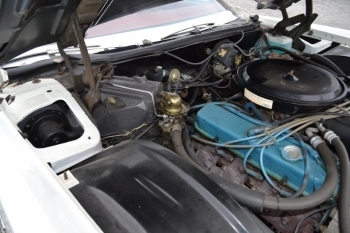 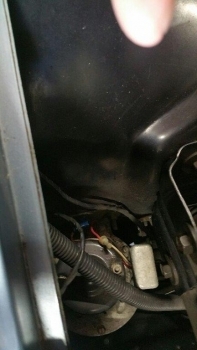 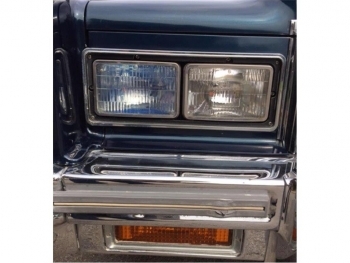 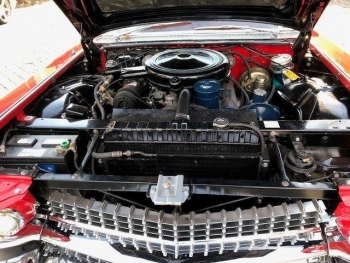 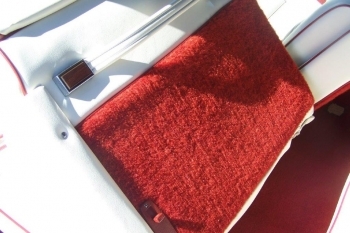 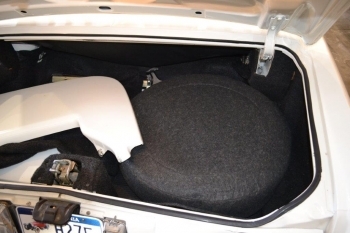 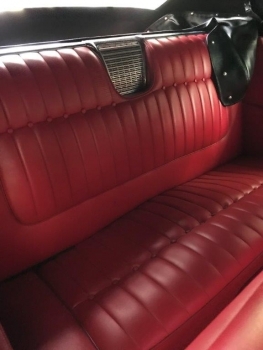 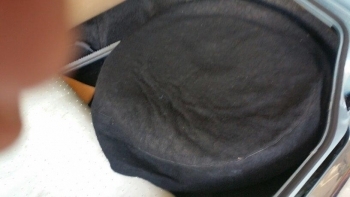 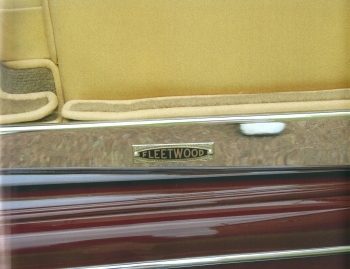 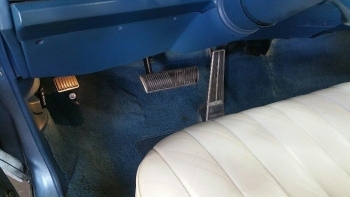 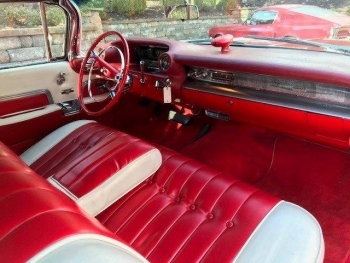 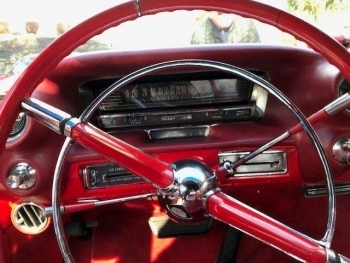 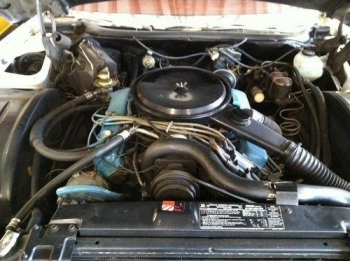 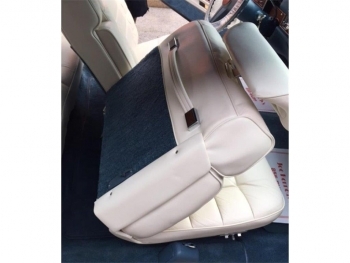 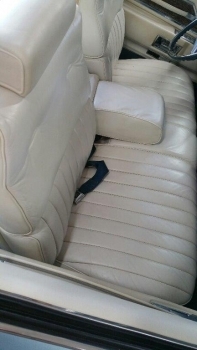 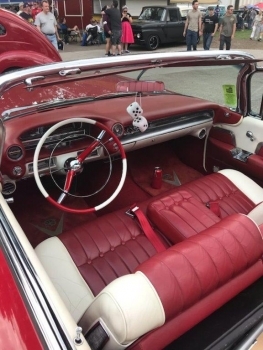 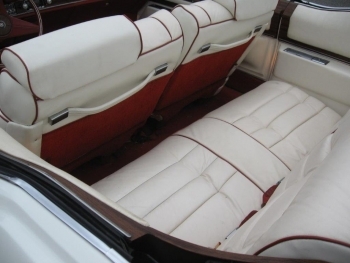 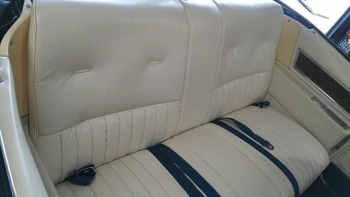 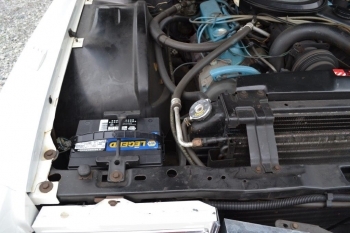 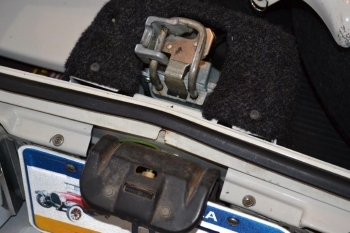 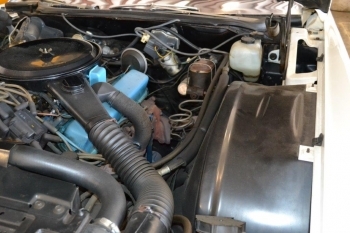 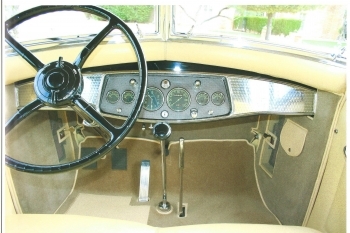 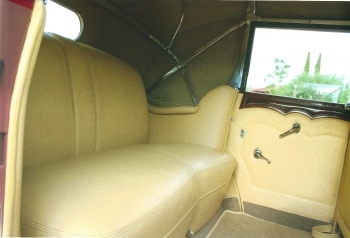 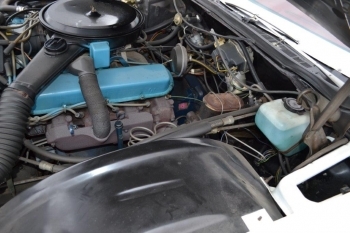 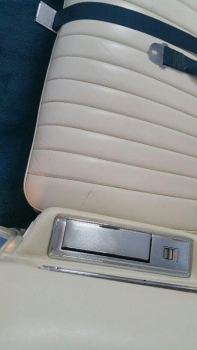 This car is fully powered with a host of standard equipment and is original not a restoration. 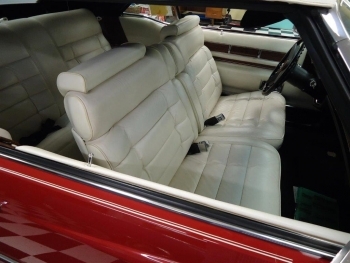 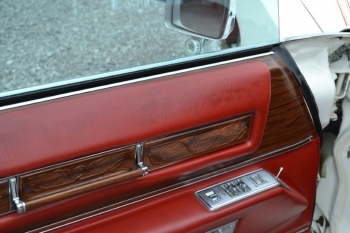 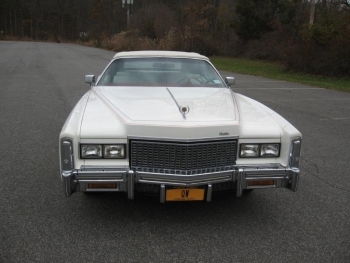 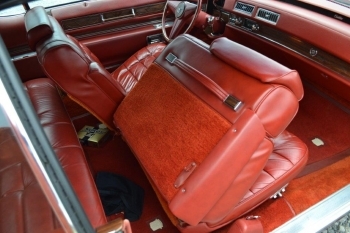 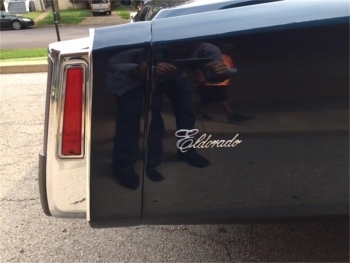 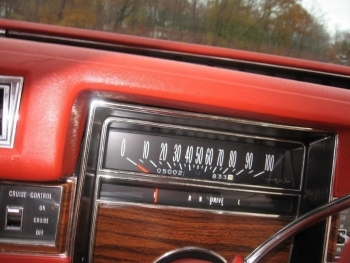 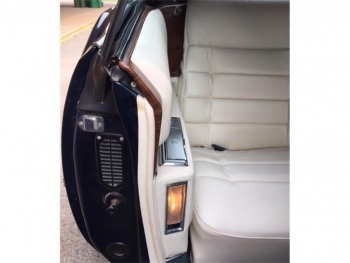 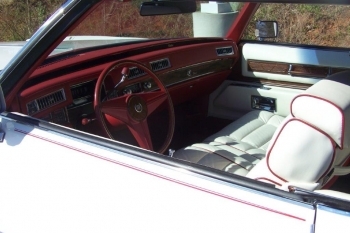 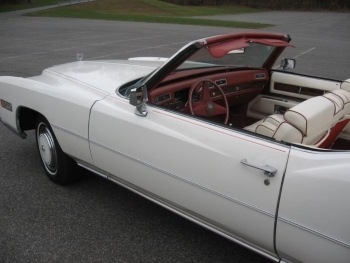 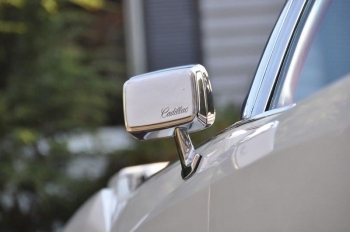 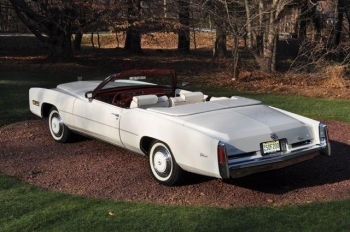 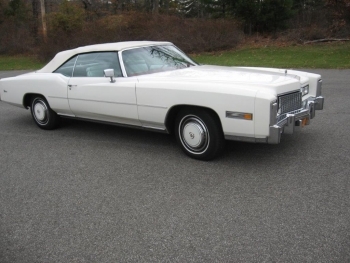 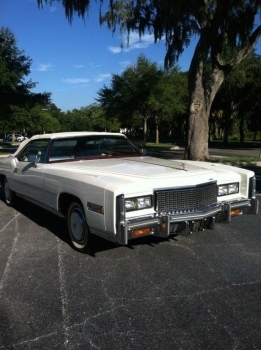 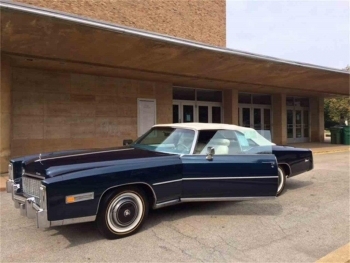 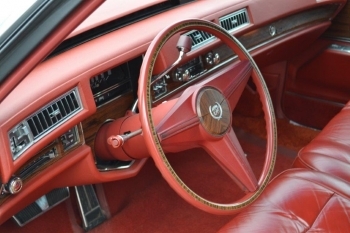 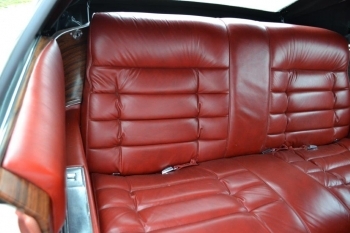 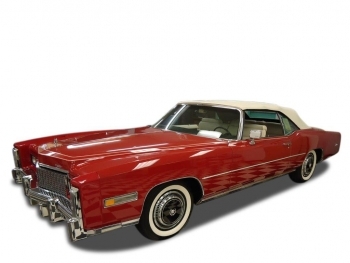 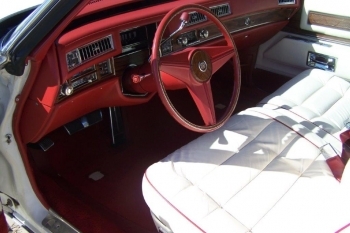 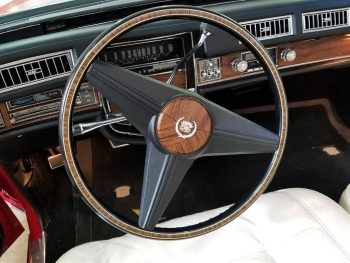 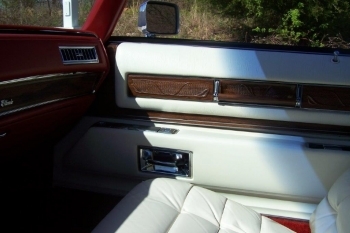 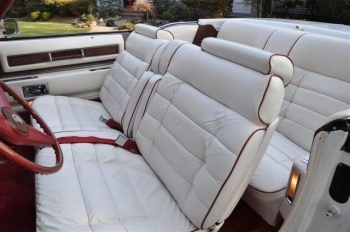 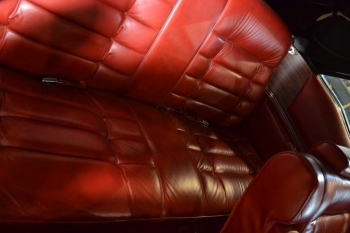 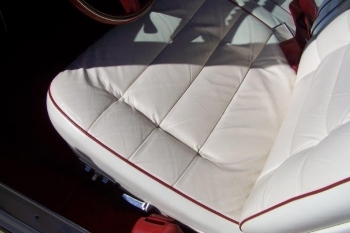 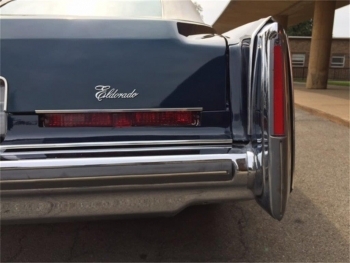 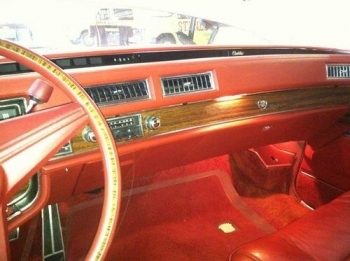 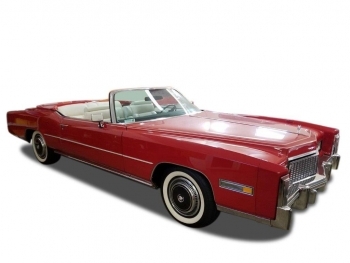 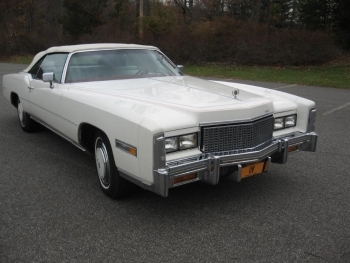 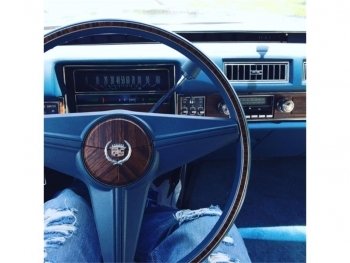 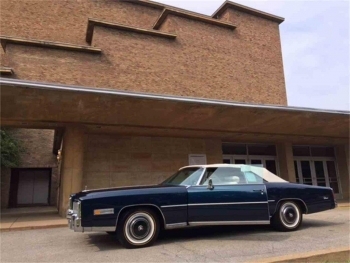 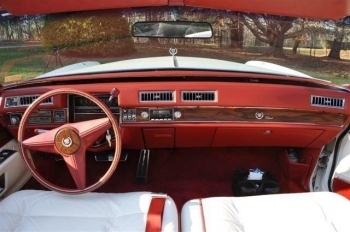 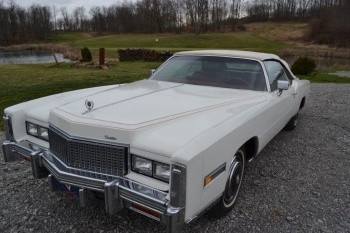 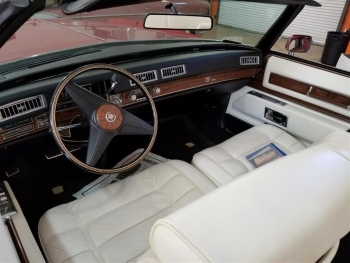 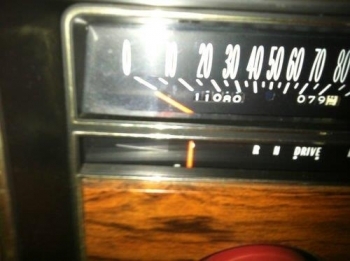 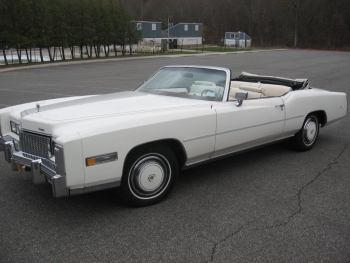 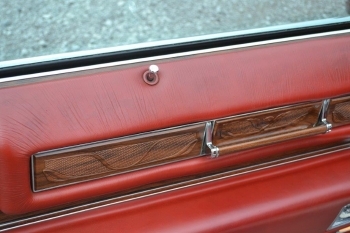 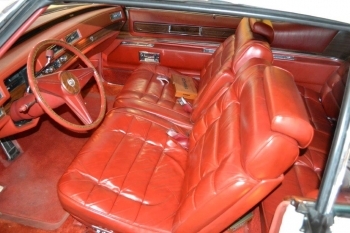 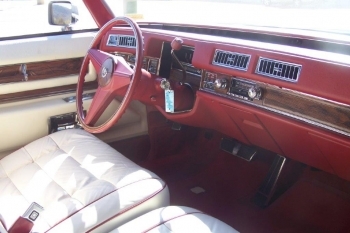 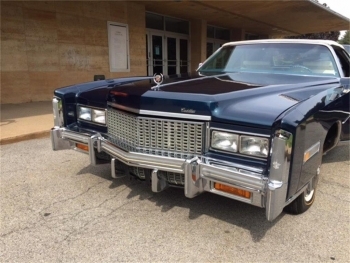 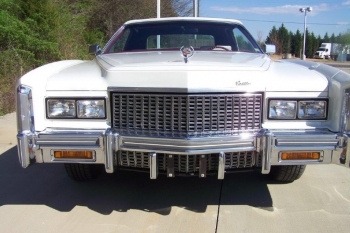 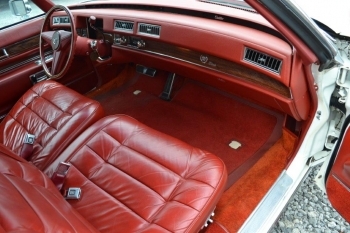 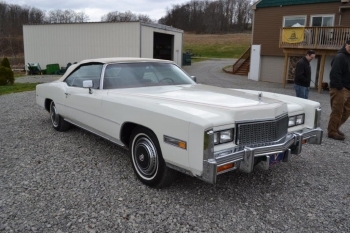 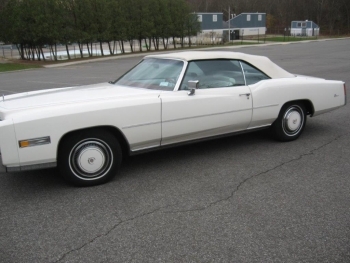 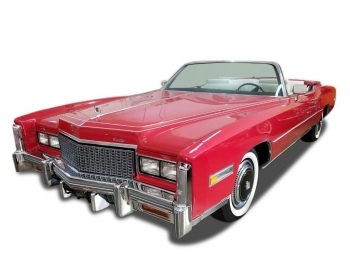 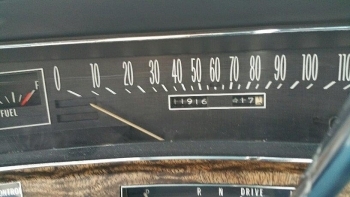 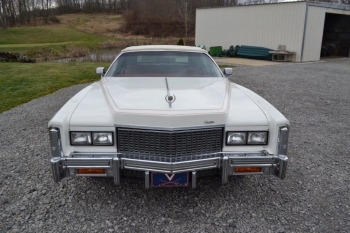 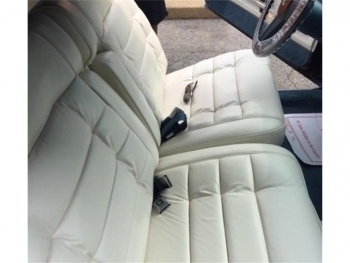 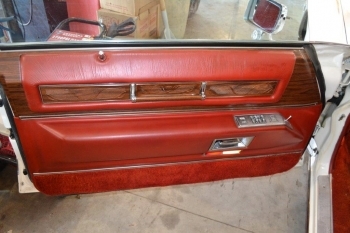 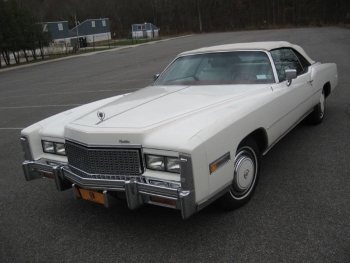 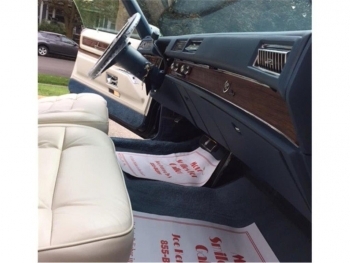 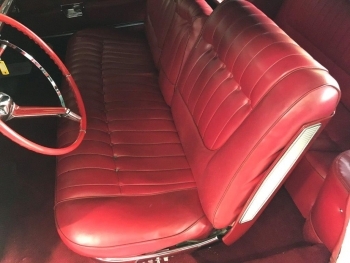 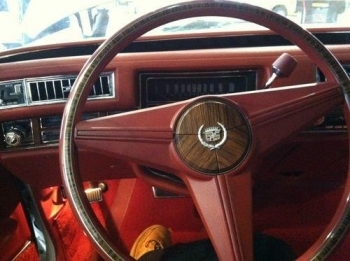 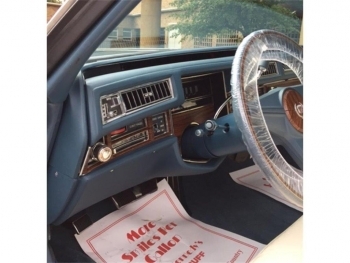 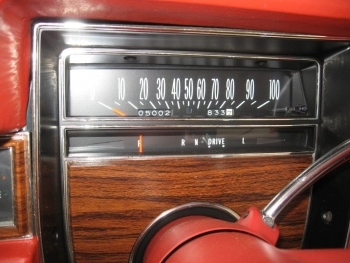 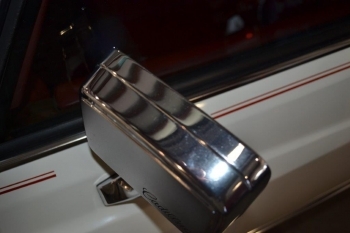 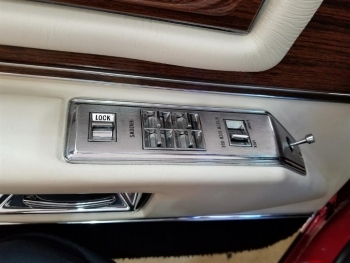 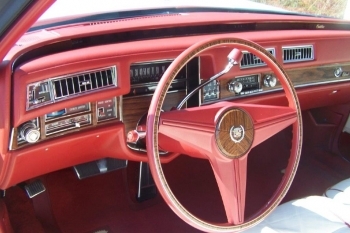 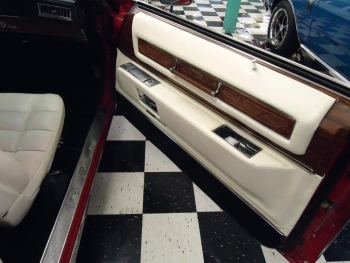 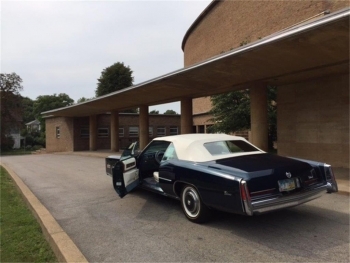 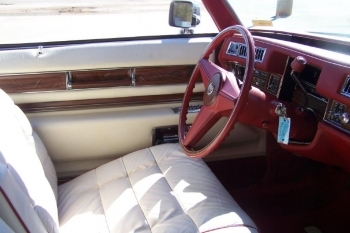 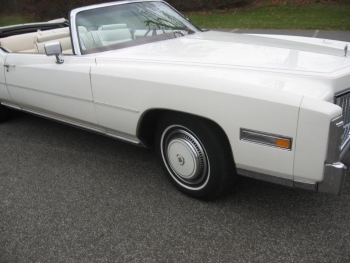 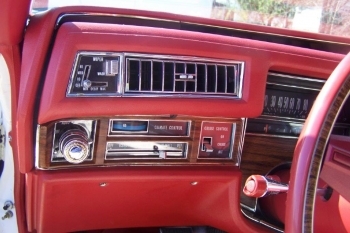 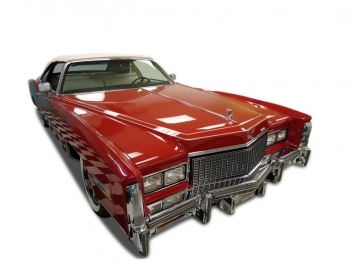 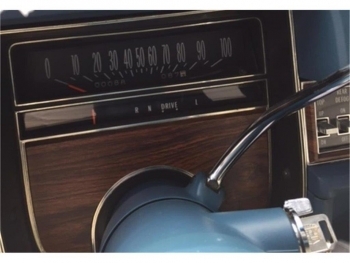 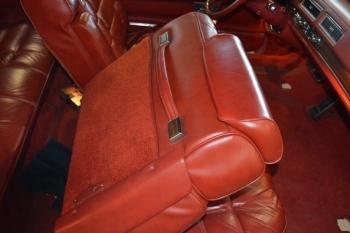 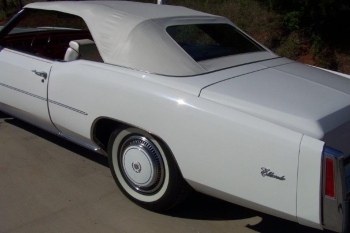 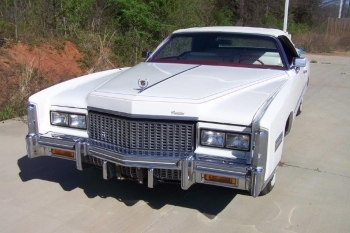 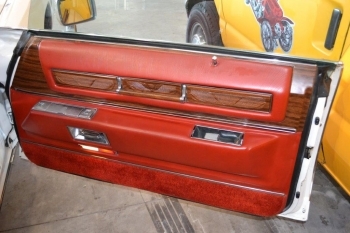 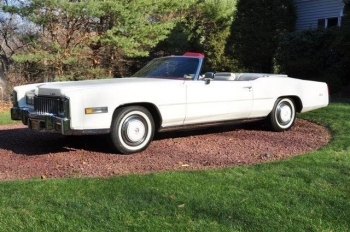 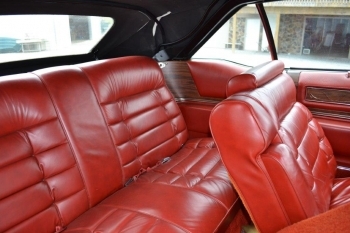 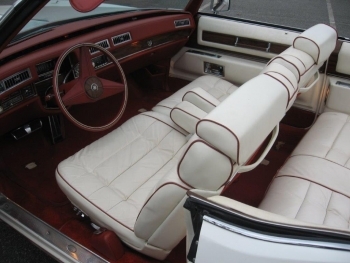 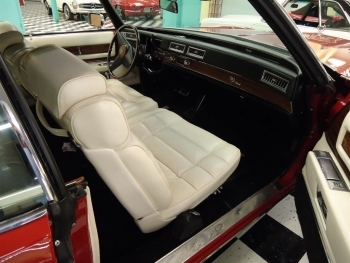 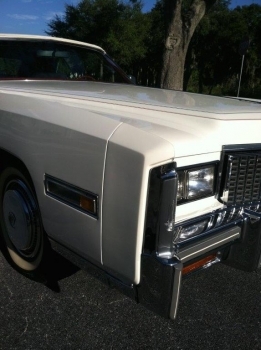 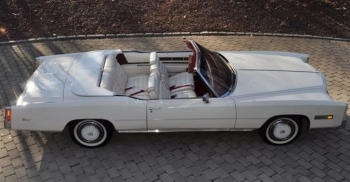 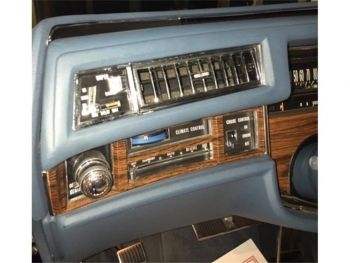 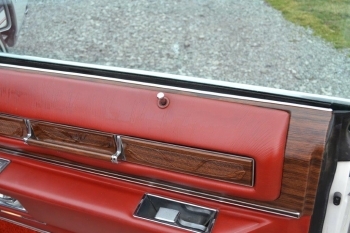 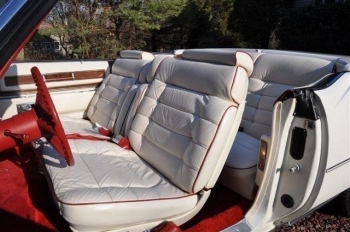 The Bi-Centennials were the last 200 of 14,000 1976 Eldorado convertible’s that were produced. 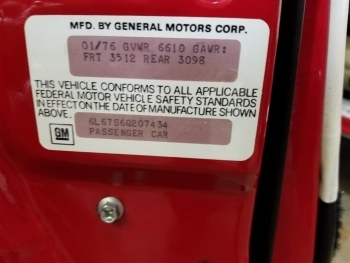 The last body number 14,000 is at the G.M. 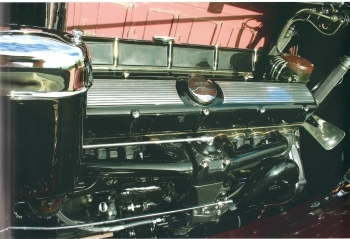 Heritage Center in Michigan. 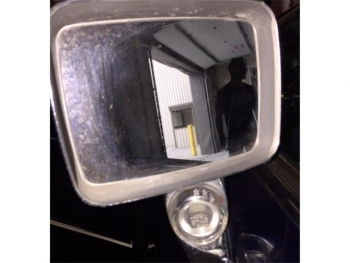 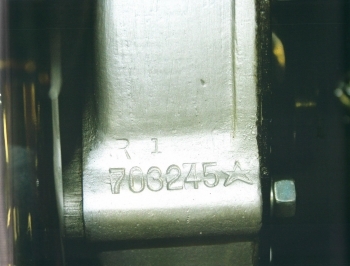 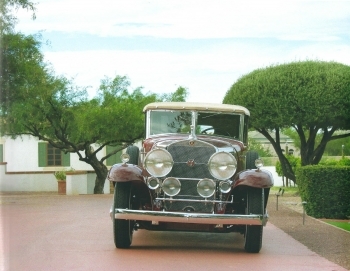 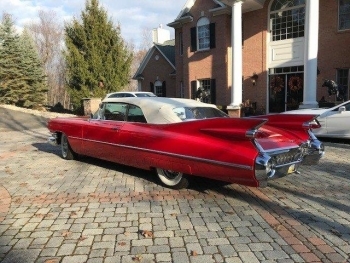 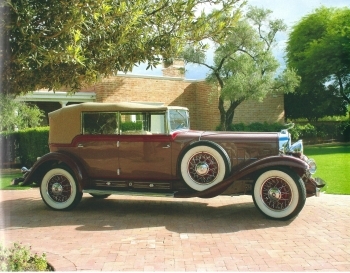 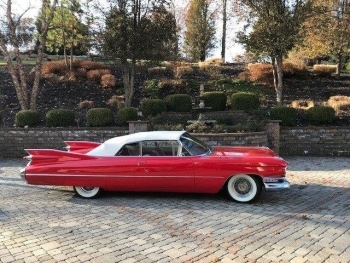 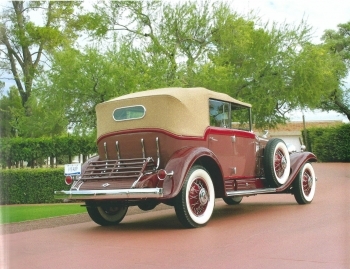 The body number of this car is 013805 making it one of the first built that is known to exist in the U.S.A. and available for sale. 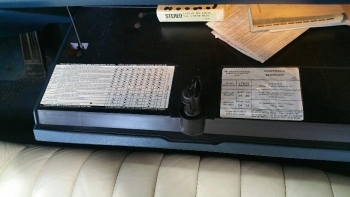 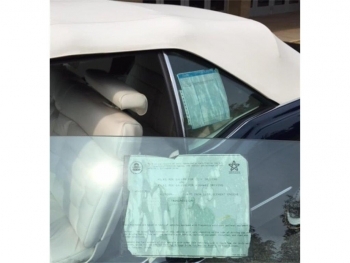 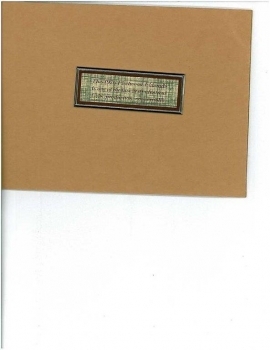 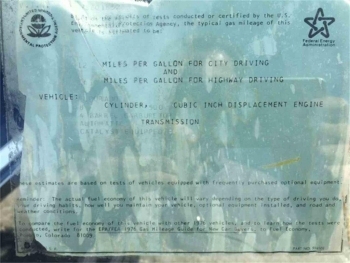 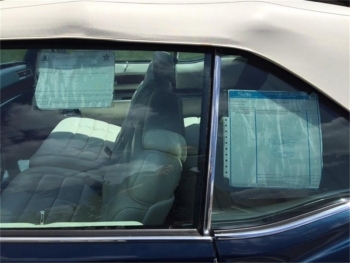 It has all of the original documents including the window stickers. 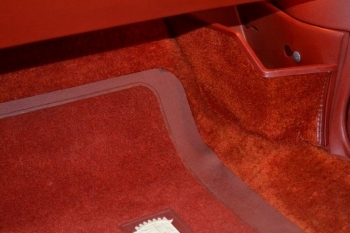 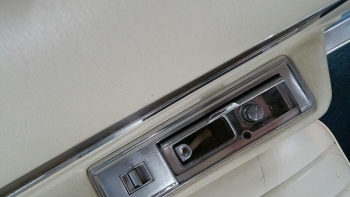 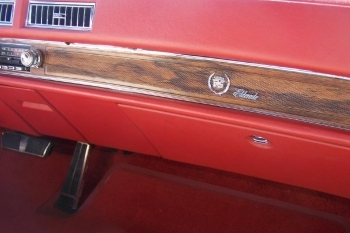 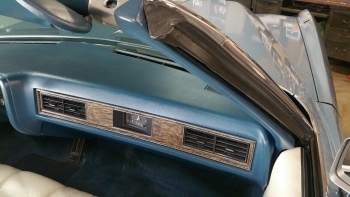 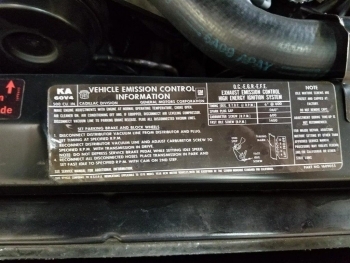 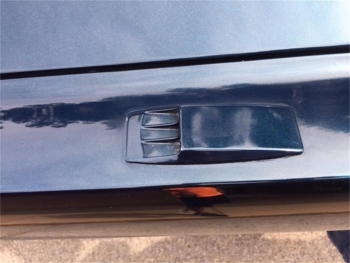 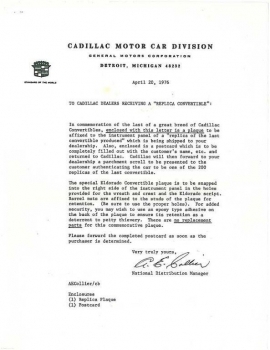 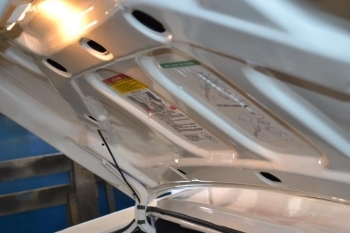 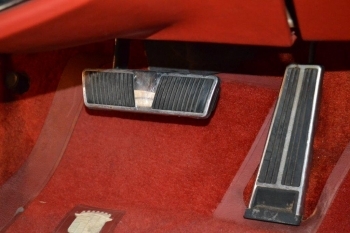 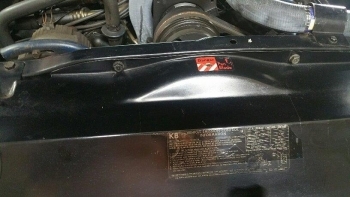 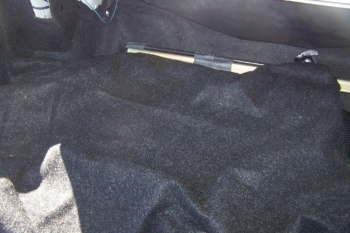 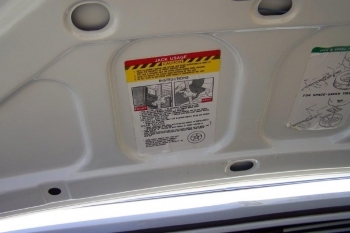 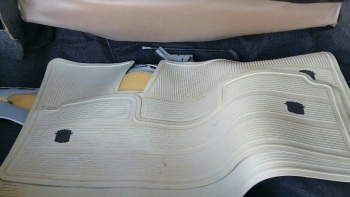 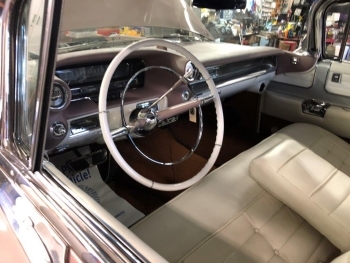 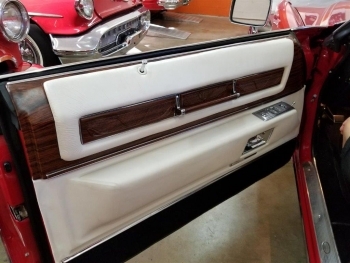 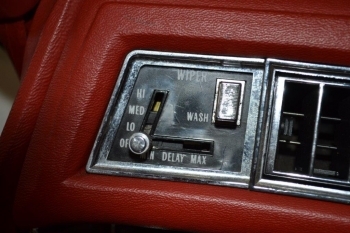 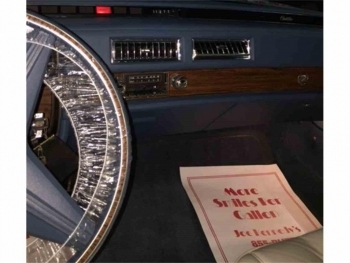 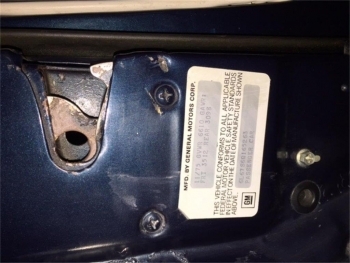 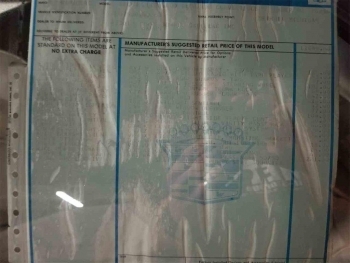 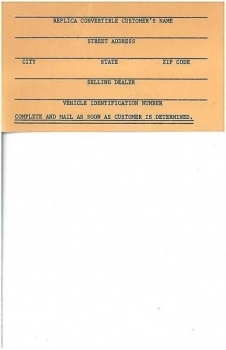 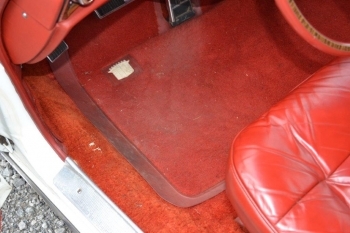 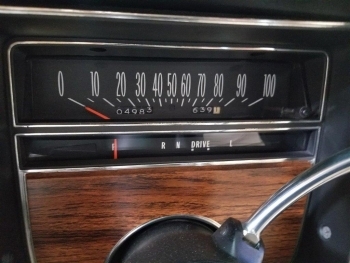 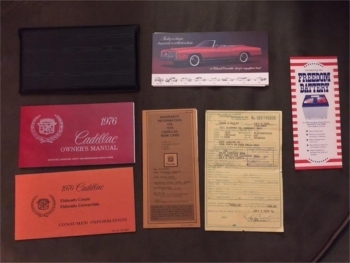 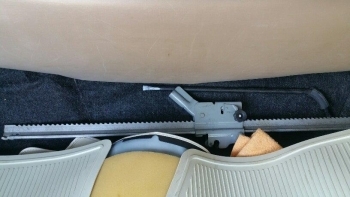 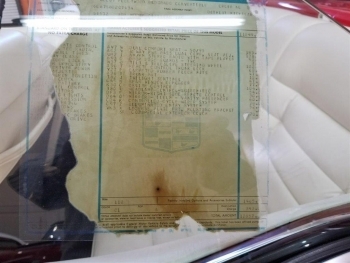 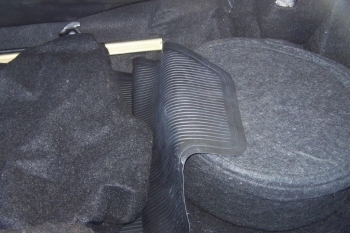 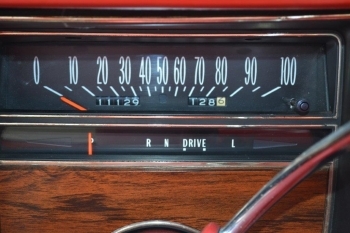 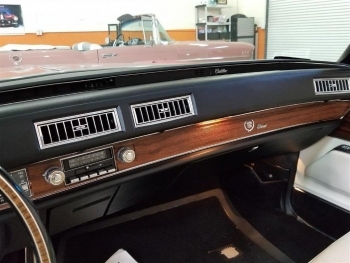 When the cars were delivered to the dealer the dash plaque was and is still attached to a cardboard base, it was to be applied to the vehicle upon delivery. 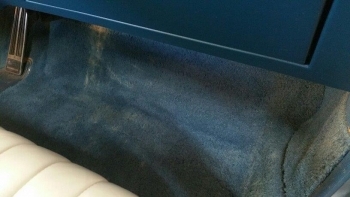 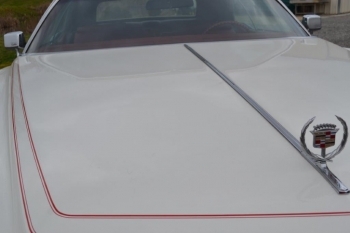 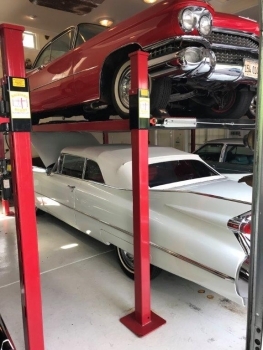 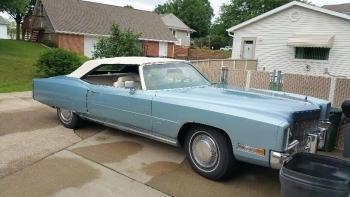 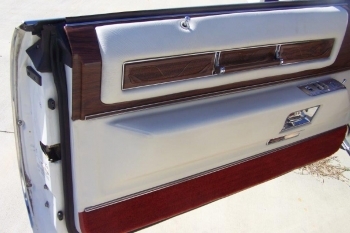 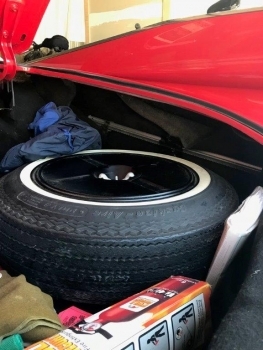 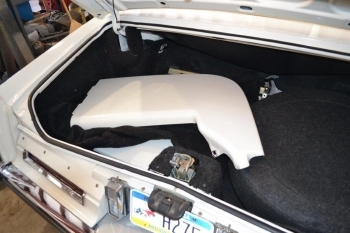 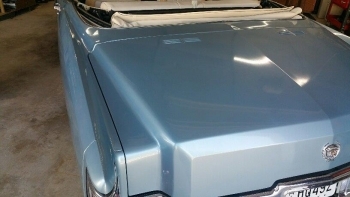 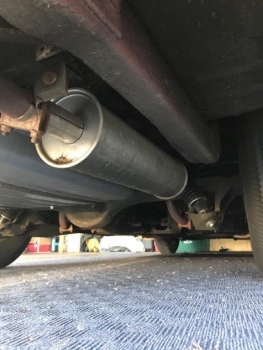 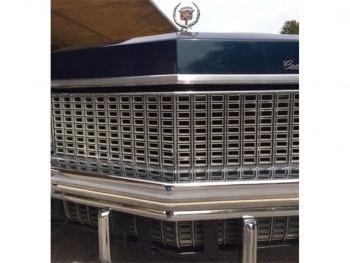 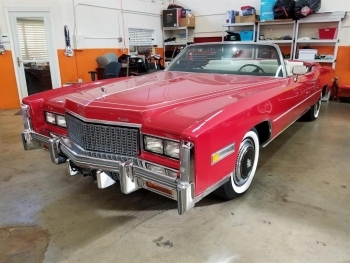 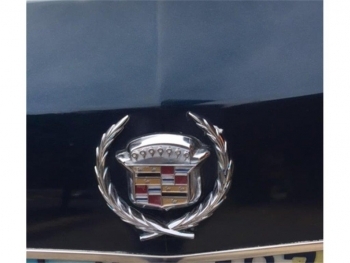 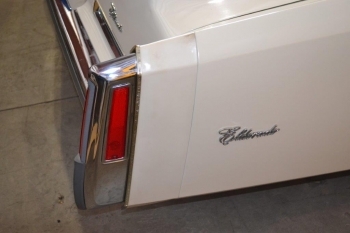 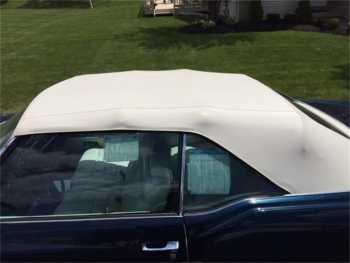 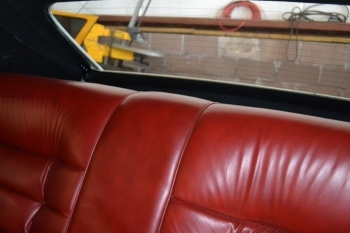 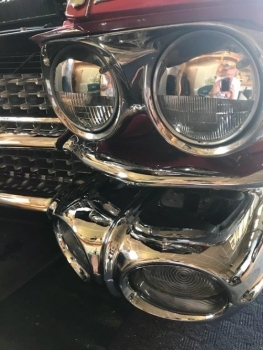 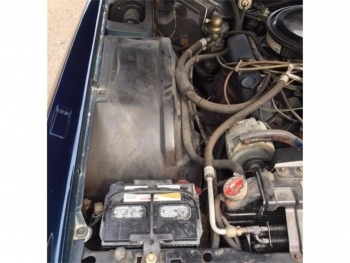 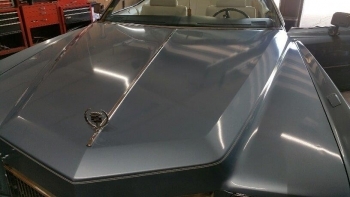 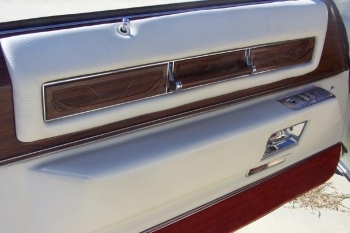 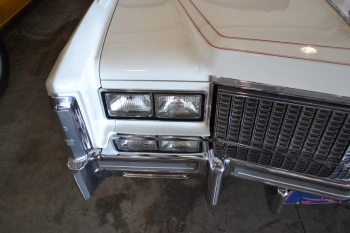 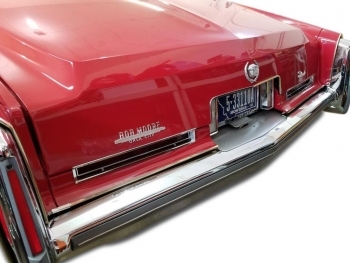 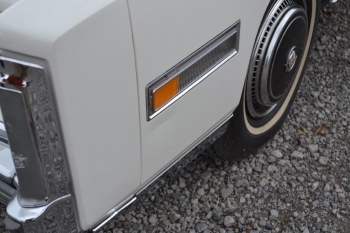 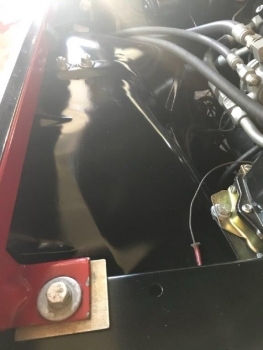 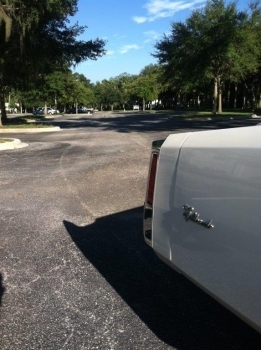 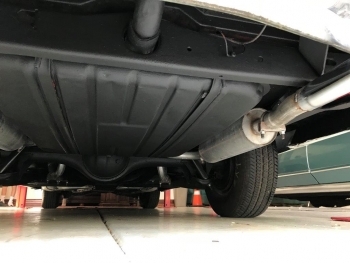 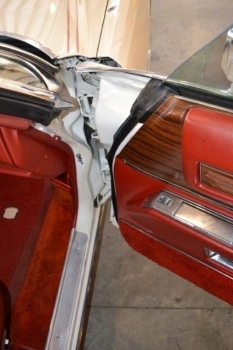 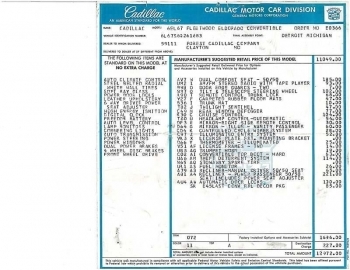 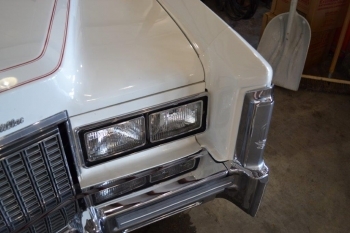 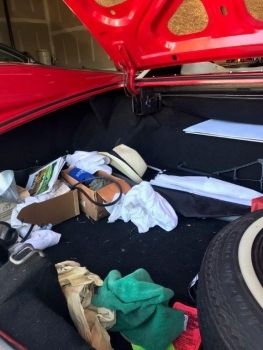 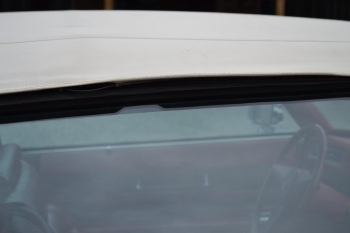 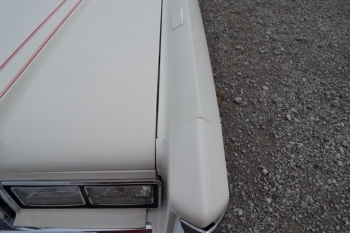 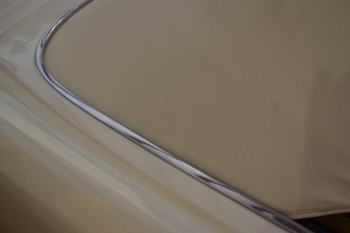 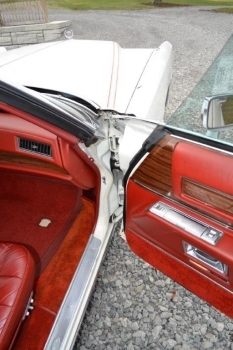 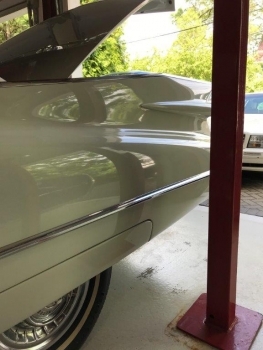 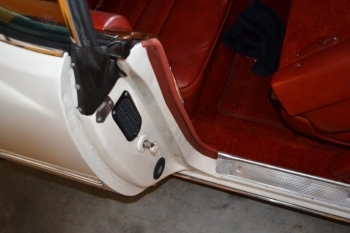 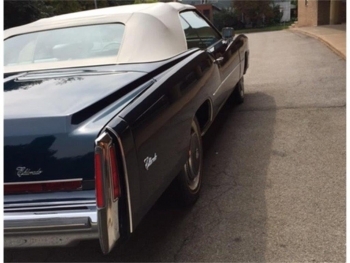 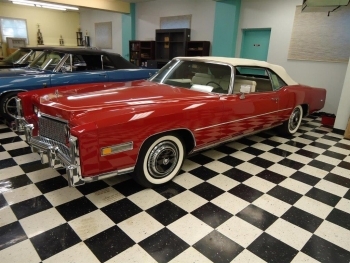 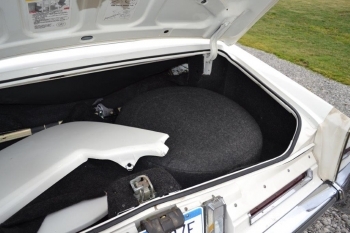 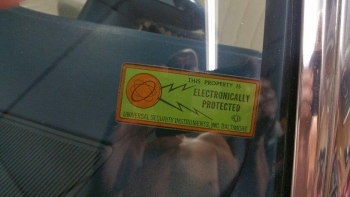 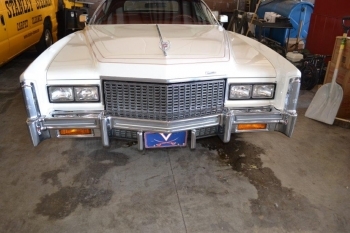 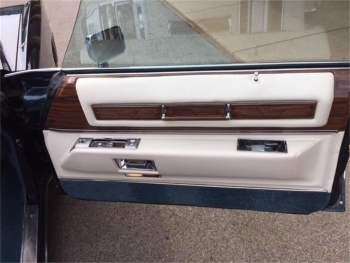 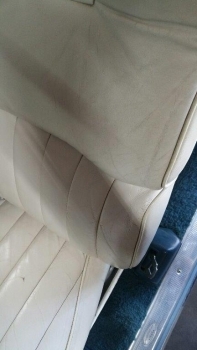 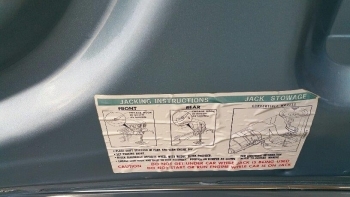 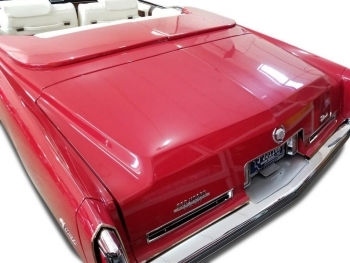 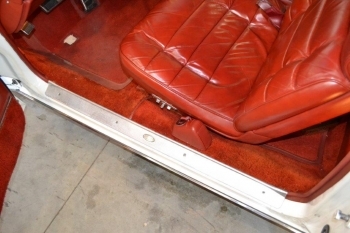 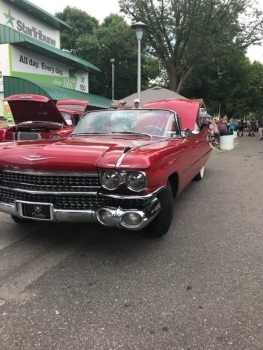 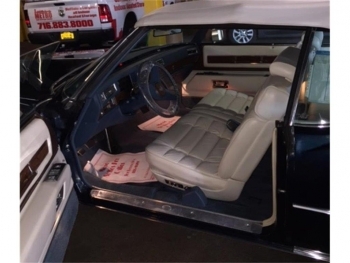 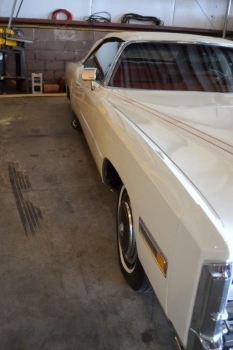 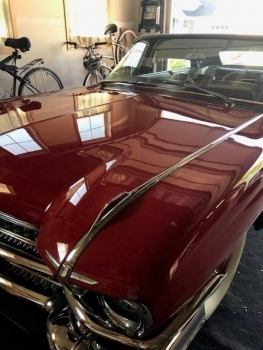 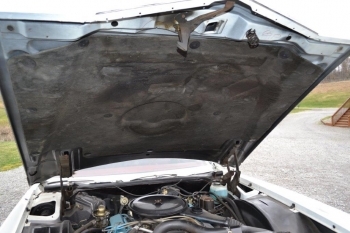 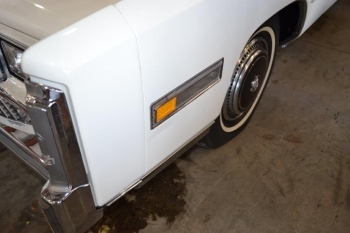 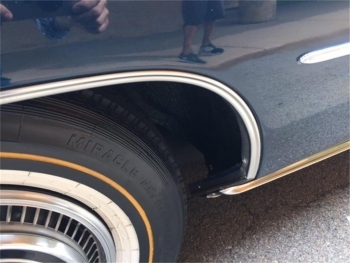 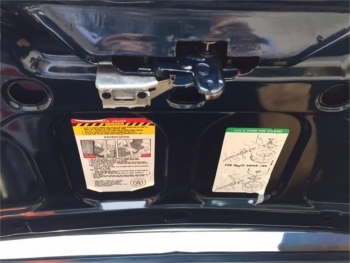 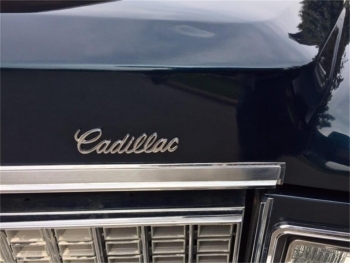 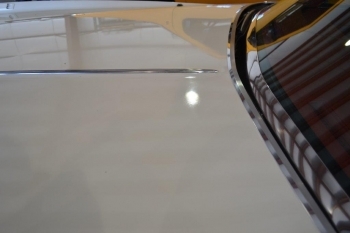 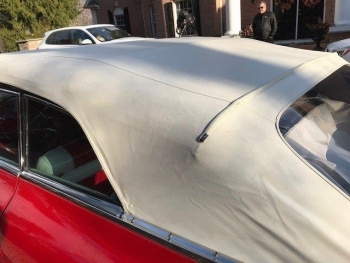 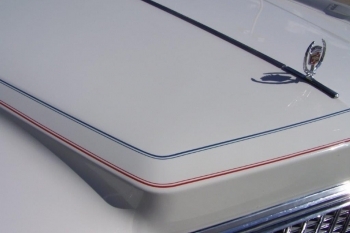 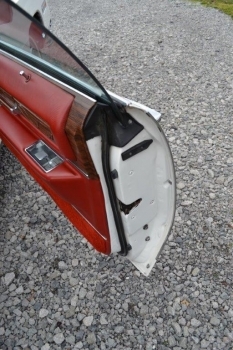 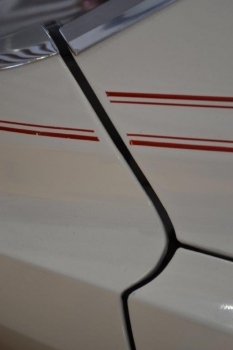 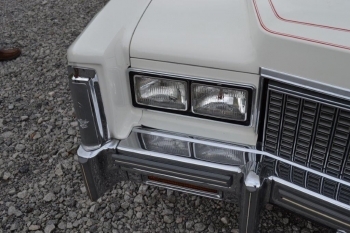 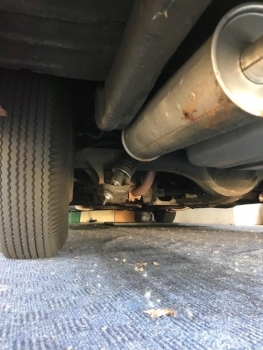 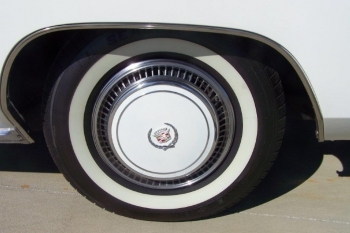 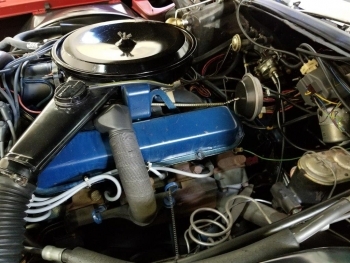 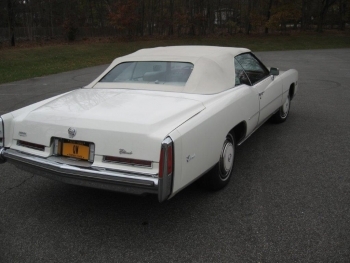 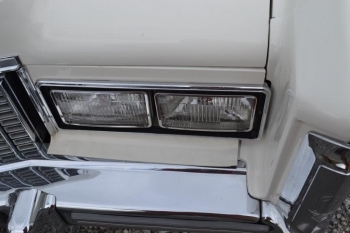 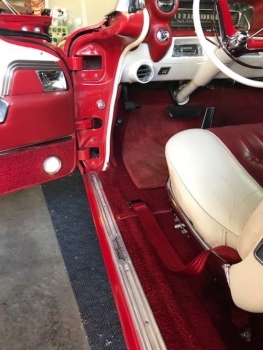 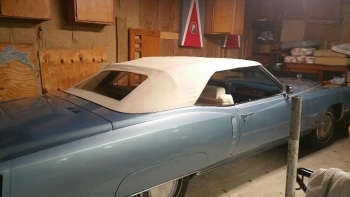 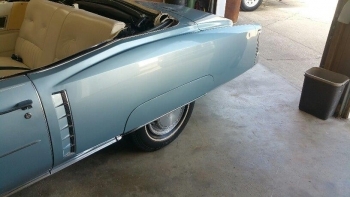 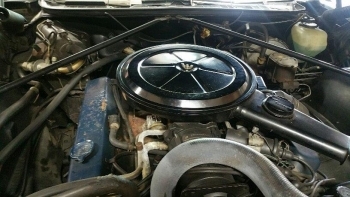 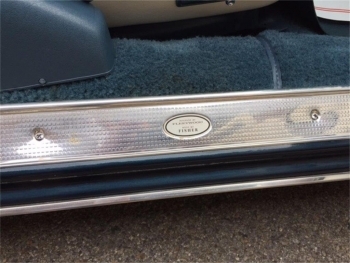 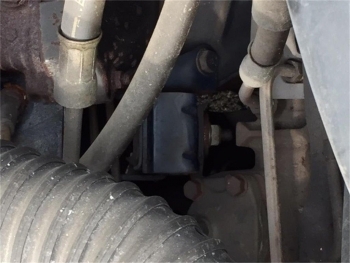 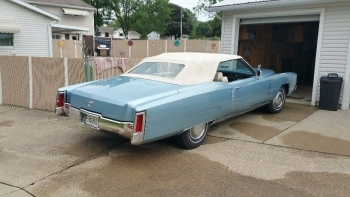 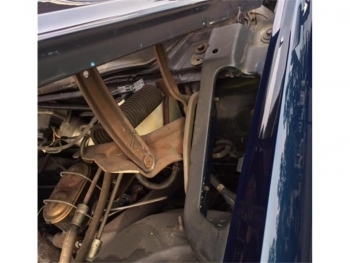 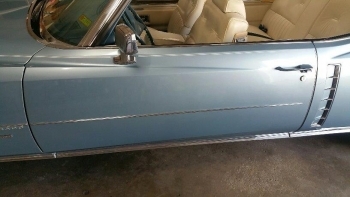 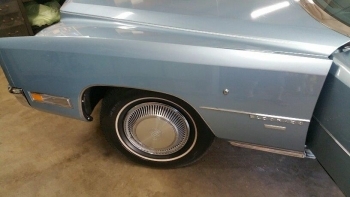 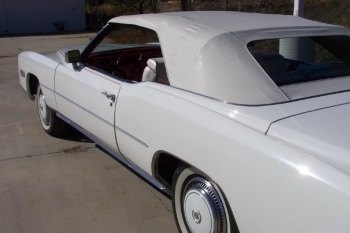 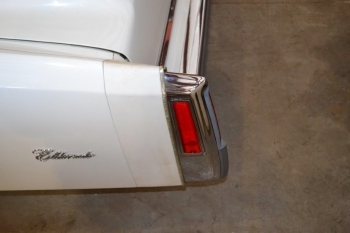 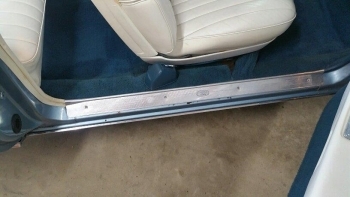 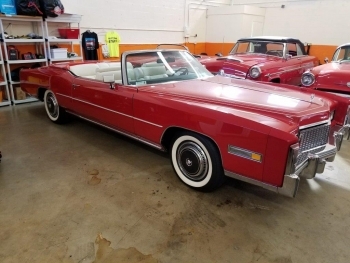 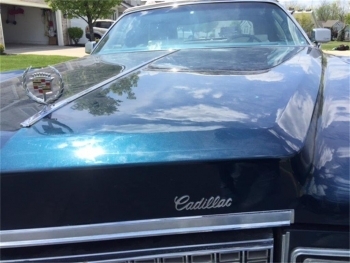 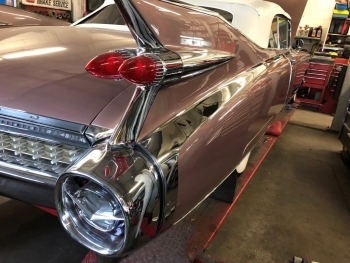 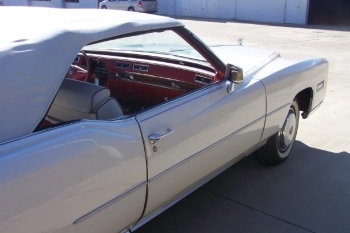 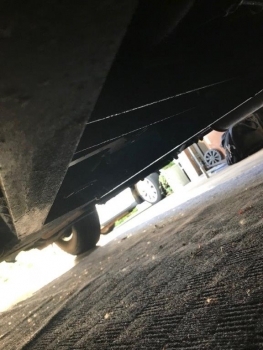 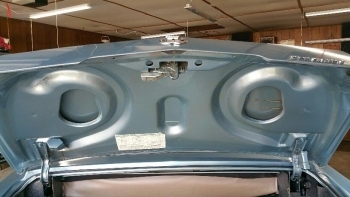 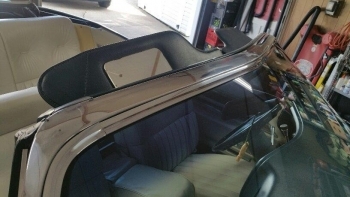 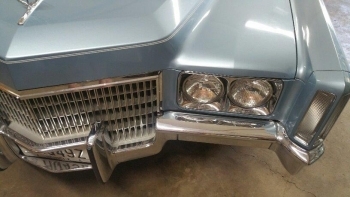 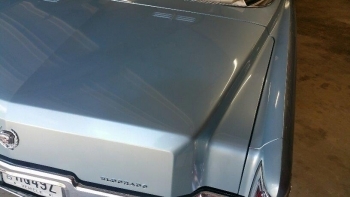 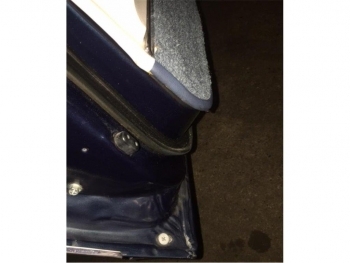 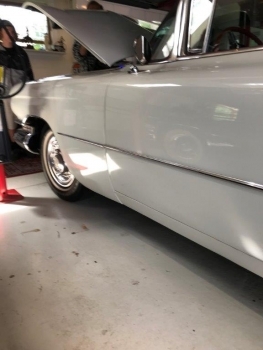 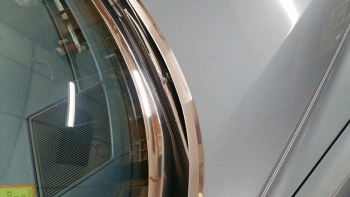 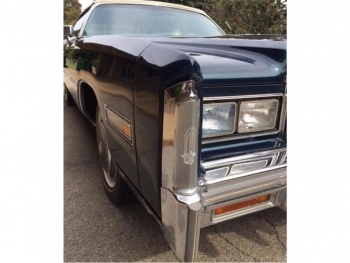 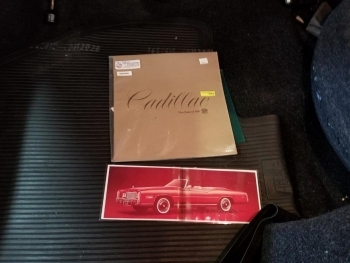 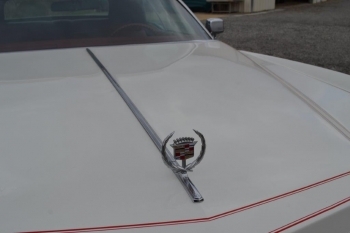 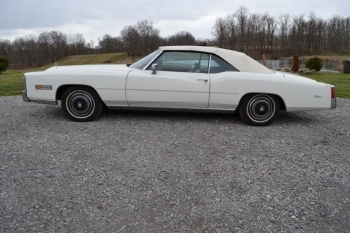 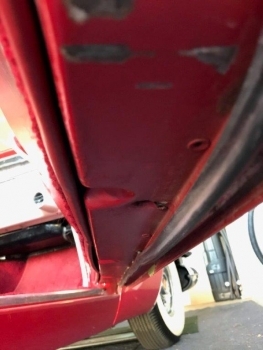 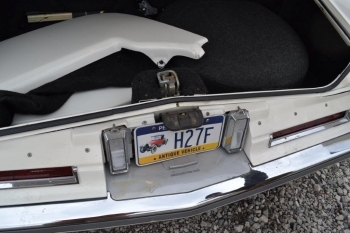 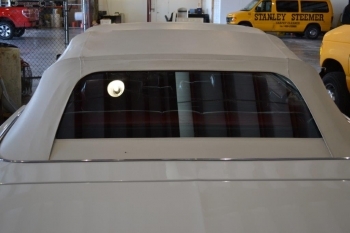 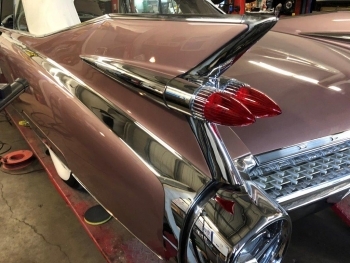 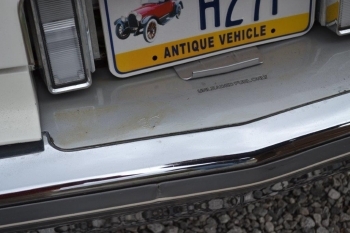 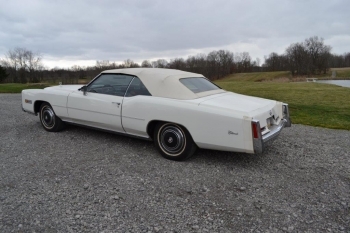 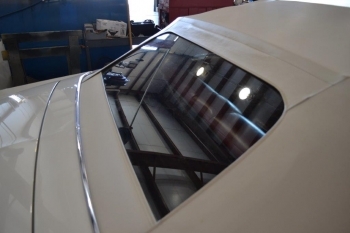 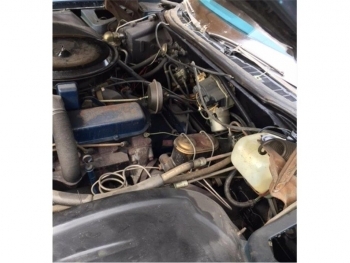 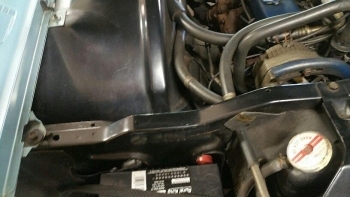 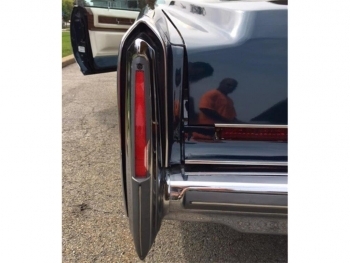 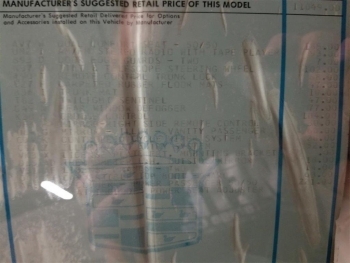 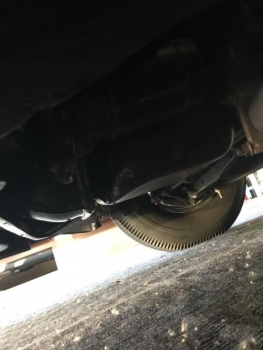 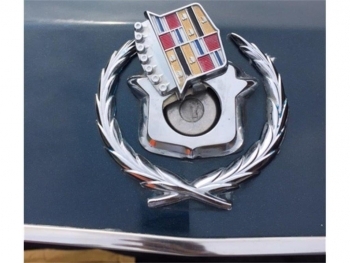 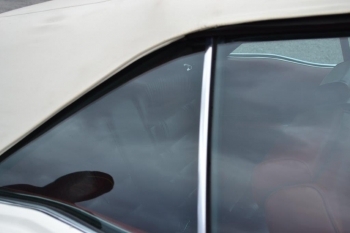 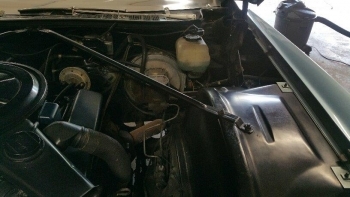 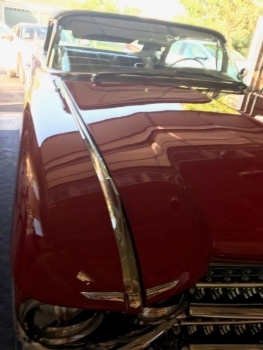 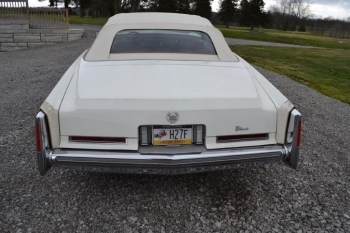 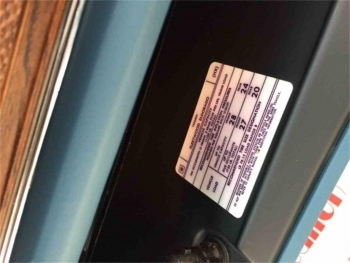 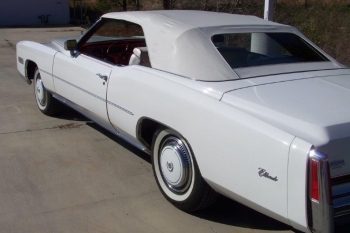 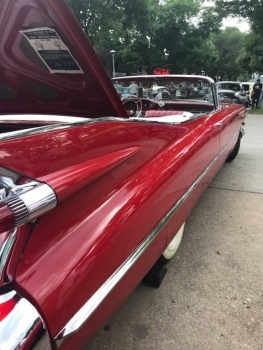 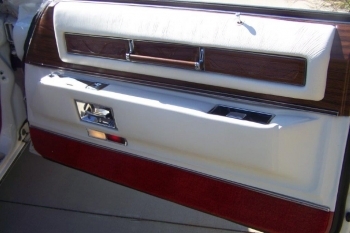 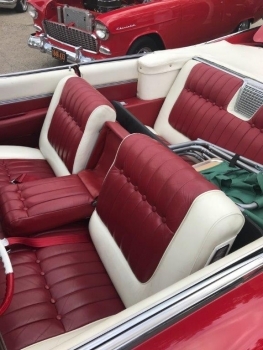 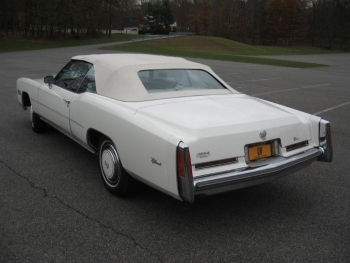 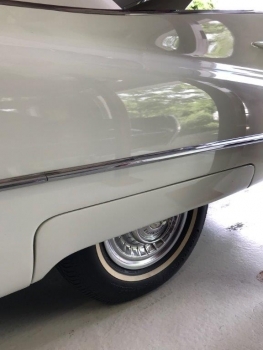 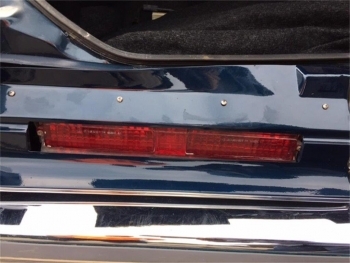 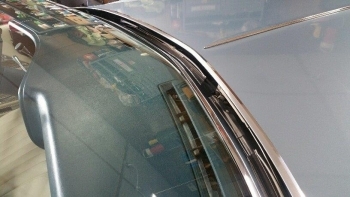 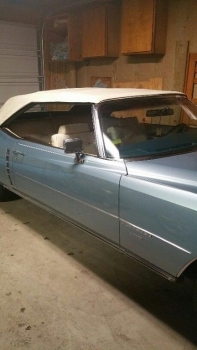 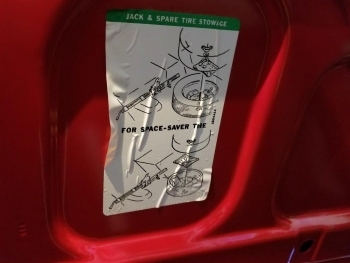 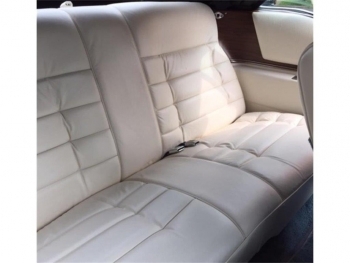 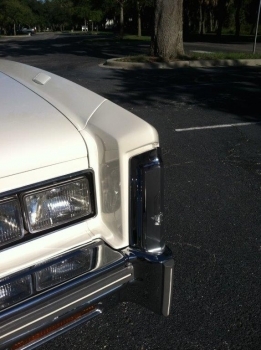 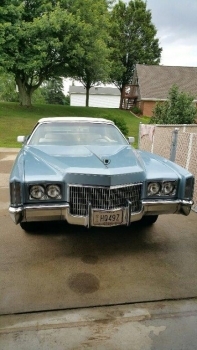 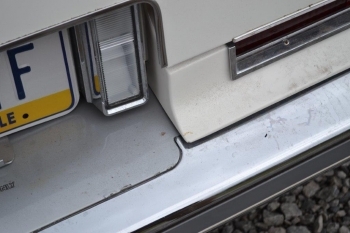 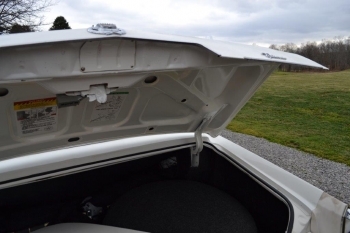 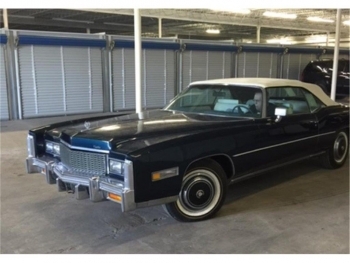 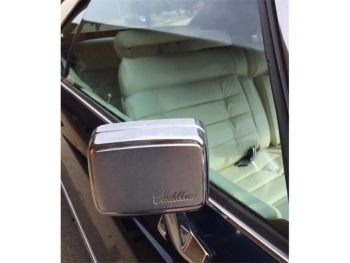 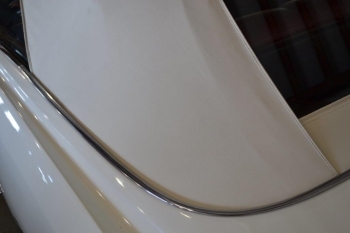 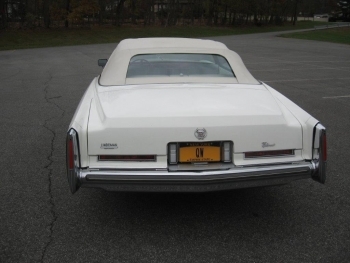 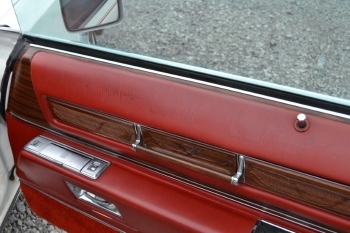 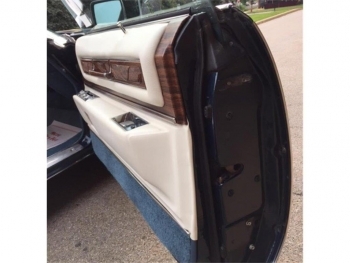 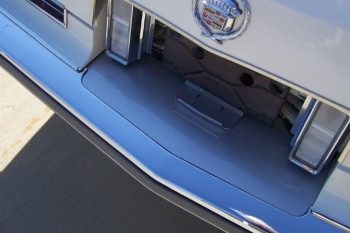 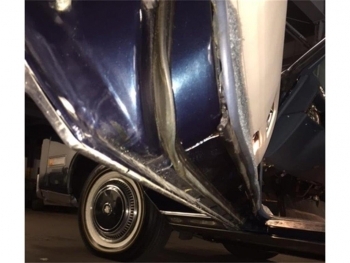 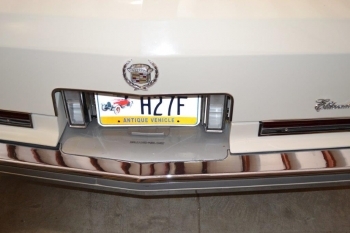 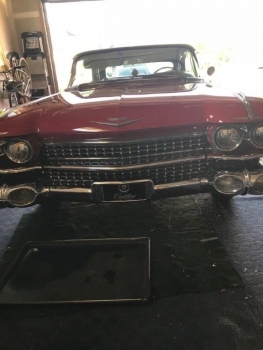 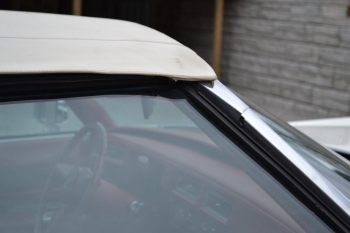 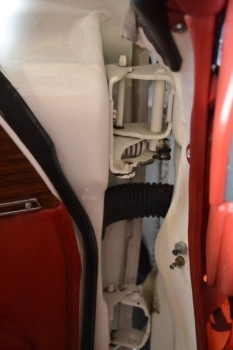 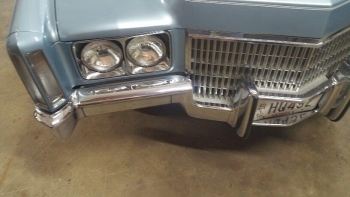 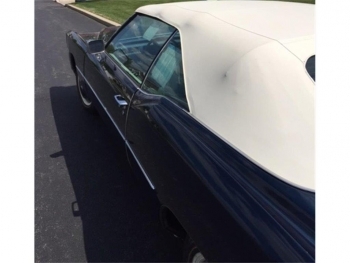 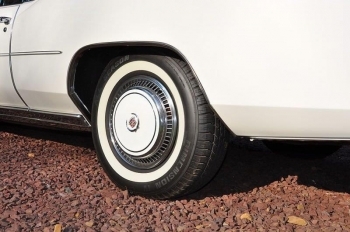 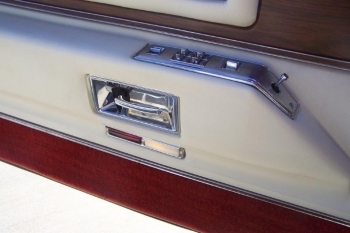 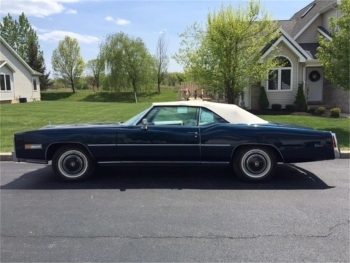 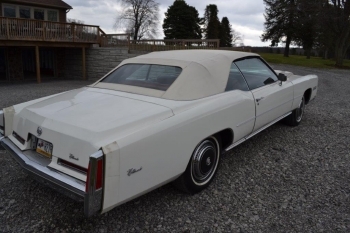 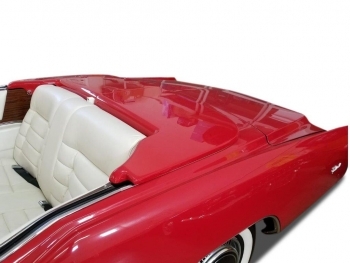 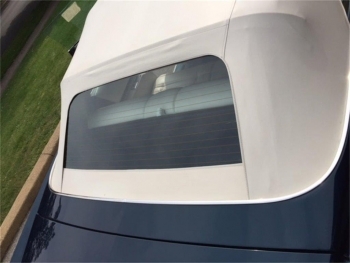 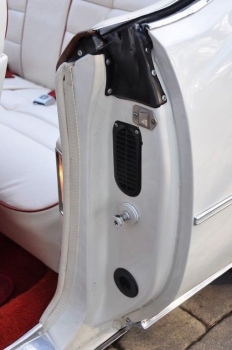 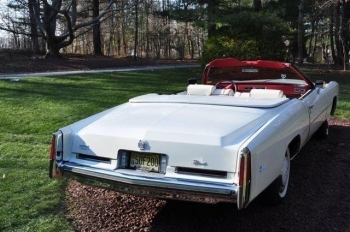 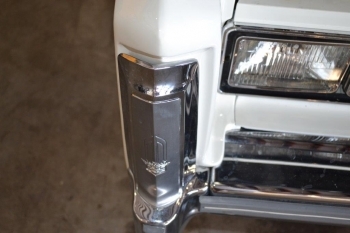 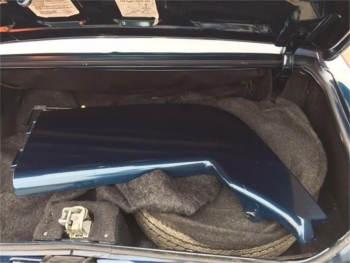 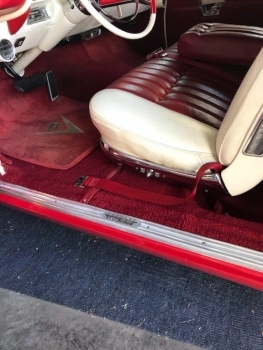 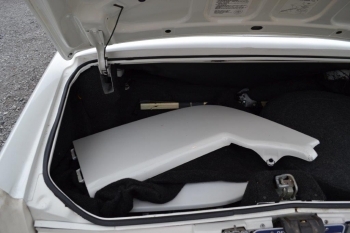 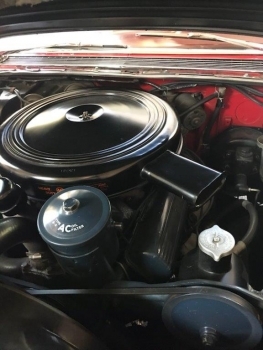 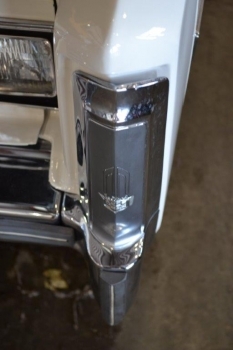 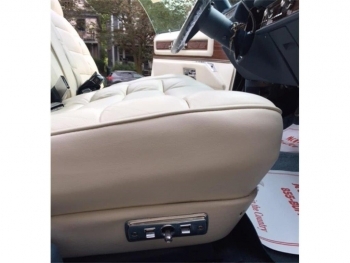 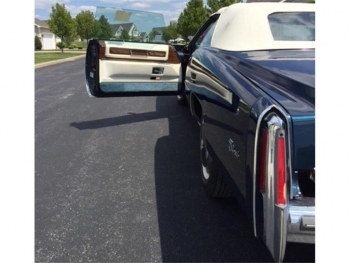 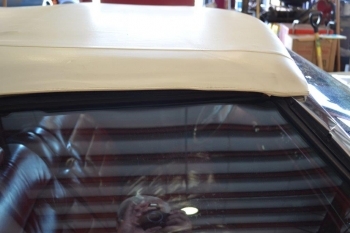 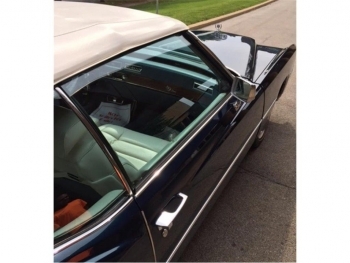 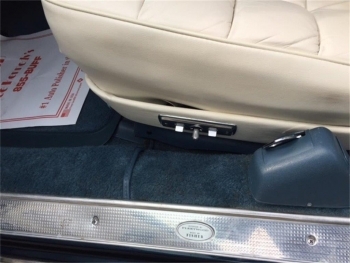 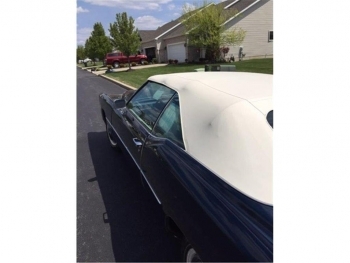 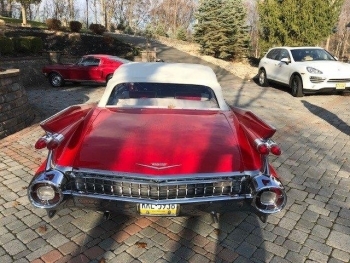 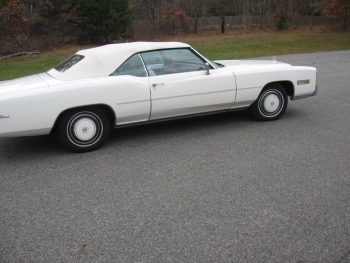 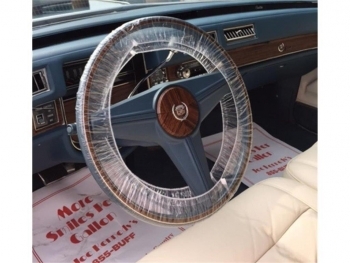 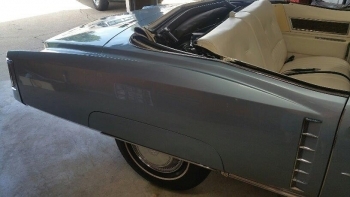 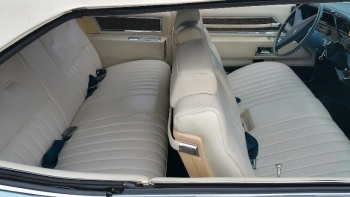 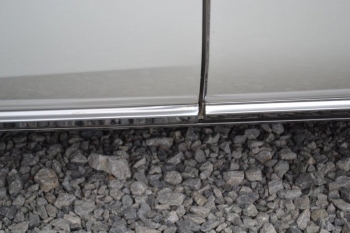 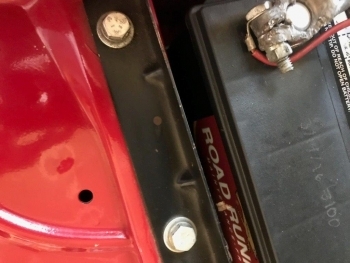 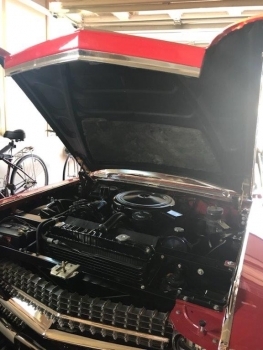 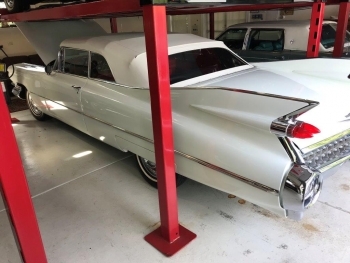 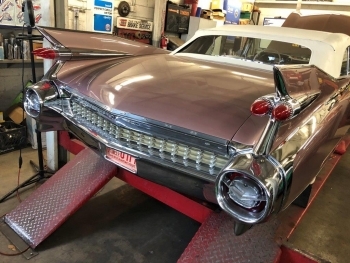 In time most of the asphalt fillers on 1976 Cadillac Convertibles crack and fall apart, all seven on this vehicle have been replaced with ABS plastic and will last forever. 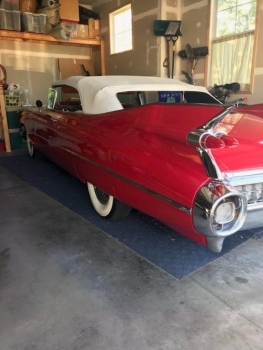 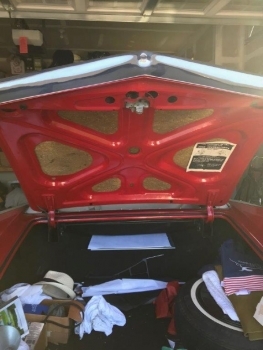 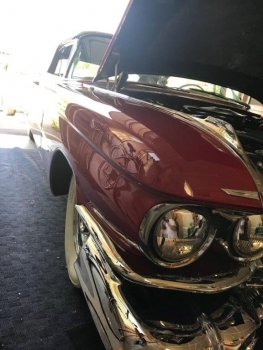 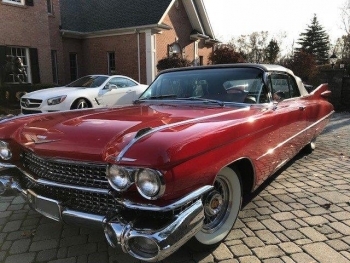 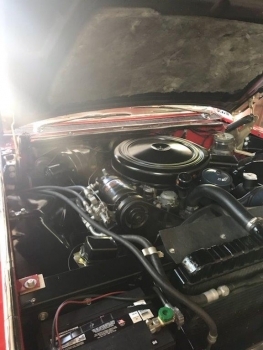 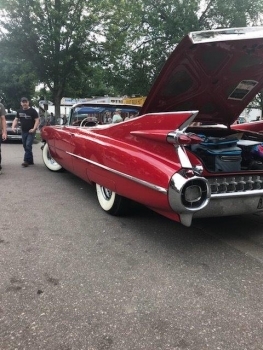 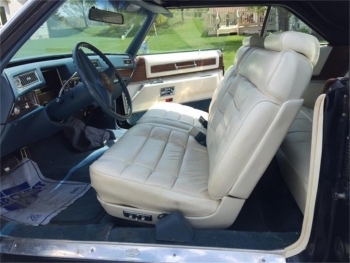 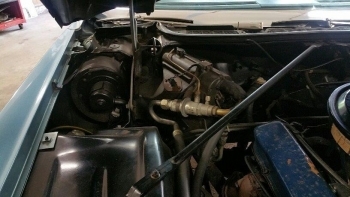 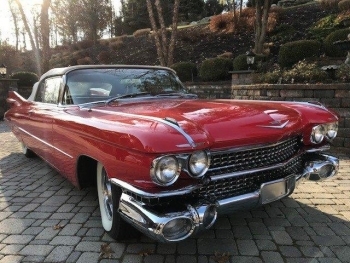 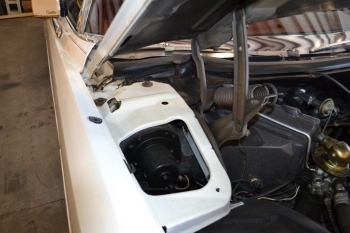 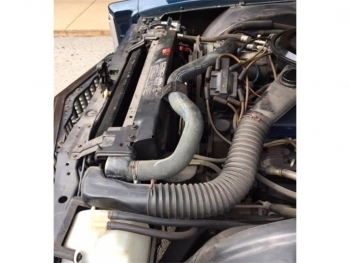 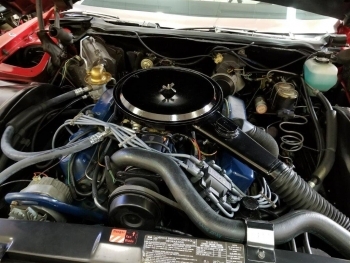 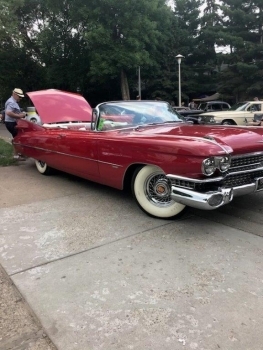 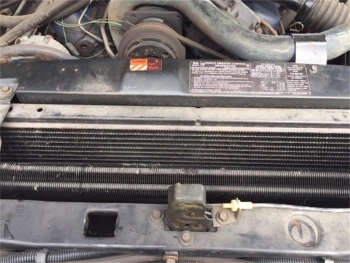 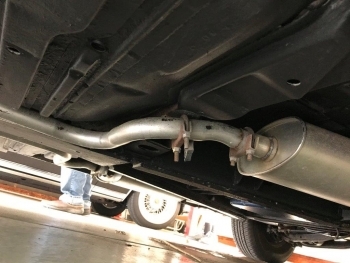 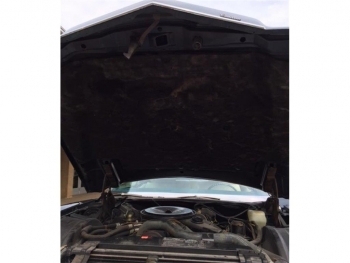 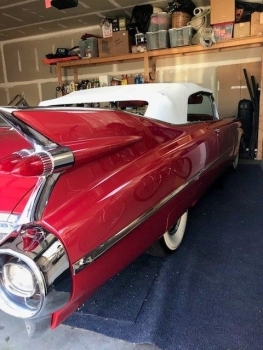 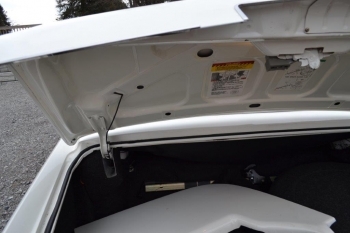 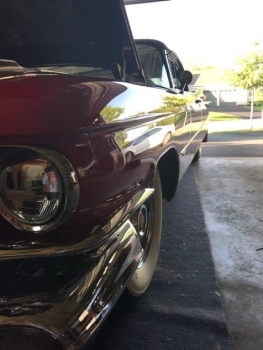 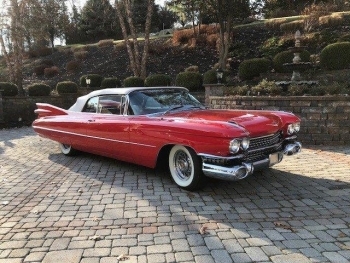 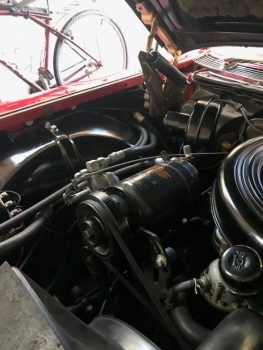 Other updates include: new heater core, condenser, compressor, master cylinder, four white wall tires and rear calipers installed at a cost of about $2,500. 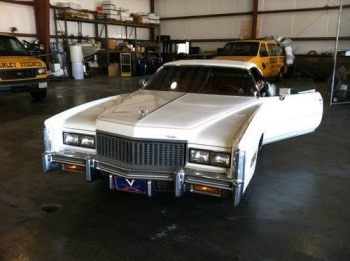 value, truly a fine investment automobile. 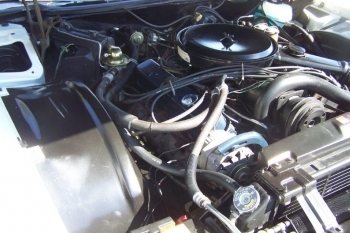 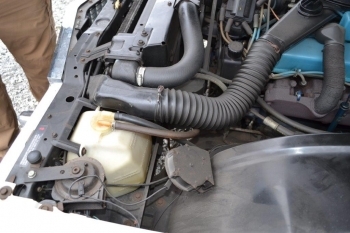 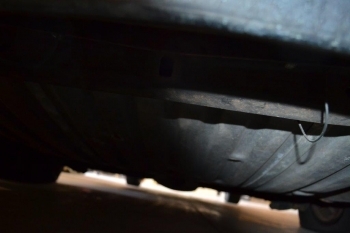 replace CV boots; scuff plate test alignment; replace door pins and adjust doors; replace thermostat.